Our kids are, even at a very young age, very much in touch with new technology and what it can offer. A great deal of learning is delivered using the latest technology offered by smart phones and tablets of all shapes and sizes. 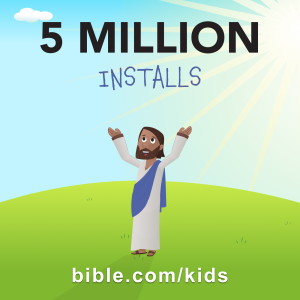 About a year ago You Version launched a free resource for kids- Bible App for Kids - watch the video for an intro. More and more bible stories are being added regularly. A new app from Scripture Union is released 1 July 2015 - called Guardians of Ancora. The interactive game with a message is designed for 8 to 11 year olds and will be available on Android and iOS devices.